Here are Sure Start Children’s Centres North Halifax Partnership we recognise that volunteers play an important part in helping us to provide a quality service, at the same time building a portfolio of work experience and qualifications. This can then help when applying for paid work. All out of pocket expenses are refunded. 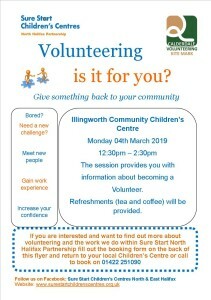 If you can spare some time and would like to know more about our service and the area in which we work then you are welcome to come along to our ‘Volunteering, is it for you?’ sessions to find out more. 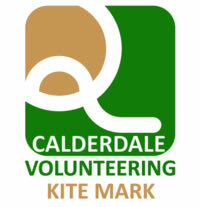 For details of the next session ring 01422 251090. 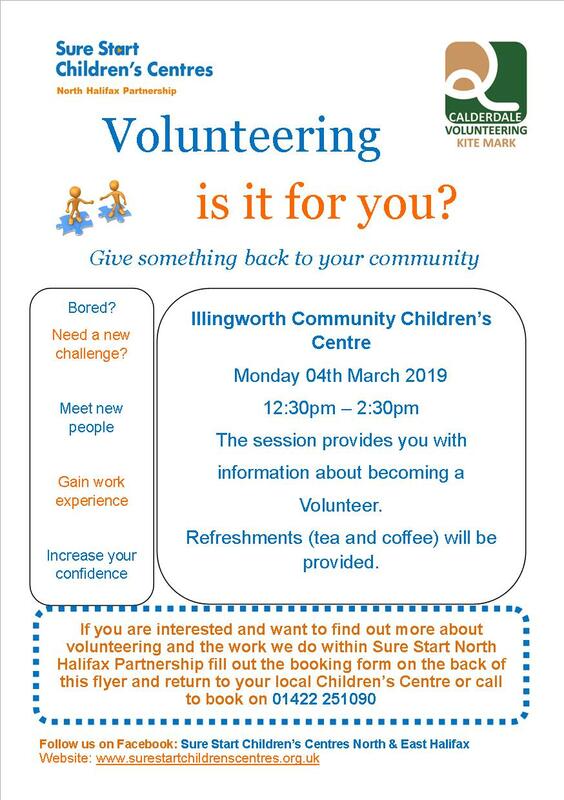 The next volunteering sessions is – Monday 04 March 2019, 12:30pm – 2:30pm. See flyer below for more information.